Recently a new slot from Netentertainment entered most British casinos online. The slot is called NRVNA: The Next Experience and has only been available at a few selected casinos until now. This due to a cooperation between Netentertainment and Betit Group which includes the casinos Kaboo, Thrills and SuperLenny. These casinos has offered NRVNA exclusively during a year or so. But from now on you can enjoy this magical Netent slot at all uk casinos. To celebrate this there are many good offers out there where you can get free spins to play with on NRVNA. One online casino that is running a time limited offer with focus on Netentertainments new slot is CasinoRoom. Here you can get up to 100 free spins to try the new game with! There are 2 time limited offers to choose between at CasinoRoom right now. These offers are valid until 17th of July so make sure you visit CasinoRoom before that date. One offer is only valid for new players and this offer includes amazingly 100 free spins on NRVNA: The Next Experience. To get all these free rounds you first have to create an account at CasinoRoom. As a new member of this uk casino you will first get 20 free spins no deposit. These welcome spins can be used on another famous slot from Netentertainment that is called Starburst. When you have played with no deposit required you can make a first deposit to the casino with the promo code NRV100. This deposit will entitle you 100 free rounds that you can use on NRVNA. Minimum deposit required for this offer is £10 which is fair! The free rounds that you get are connected to a x45 wagering requirement and you have to wager your winnings within 10 days. If you already are a member of CasinoRoom you can use a different offer instead. For existing players there are 50 free spins to get on Netent's new slot NRVNA. 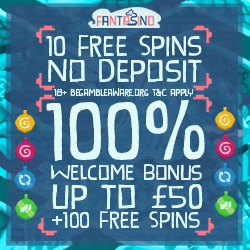 In order to claim the offer you just have to login to CasinoRoom and make a deposit of £10 or more. When you do this you should enter the code NRV50 into the bonus field. 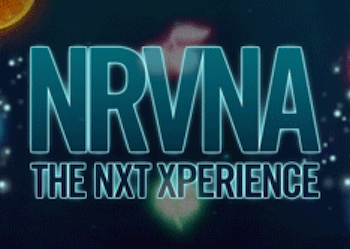 This will entitle you the 50 free rounds that can be used on NRVNA: The Next Experience. Just like for new members the spins that are being paid out are connected to wagering requirements that you need to reach if you want to make a withdrawal. For those of you that are tired of the bad wheather there is another suitable promotion running at CasinoRoom right now. You can participate in a World Tour campaign where some lucky winners will win a trip to sunny Malta! More information about this campaign can be found on the promotions page at CasinoRoom.